Oona, my soul mate through life, is a professional harpist of many years' experience. She is available for weddings and functions in Cheshire, Merseyside, Greater Manchester, Lancashire, Shropshire, Staffordshire and North Wales. 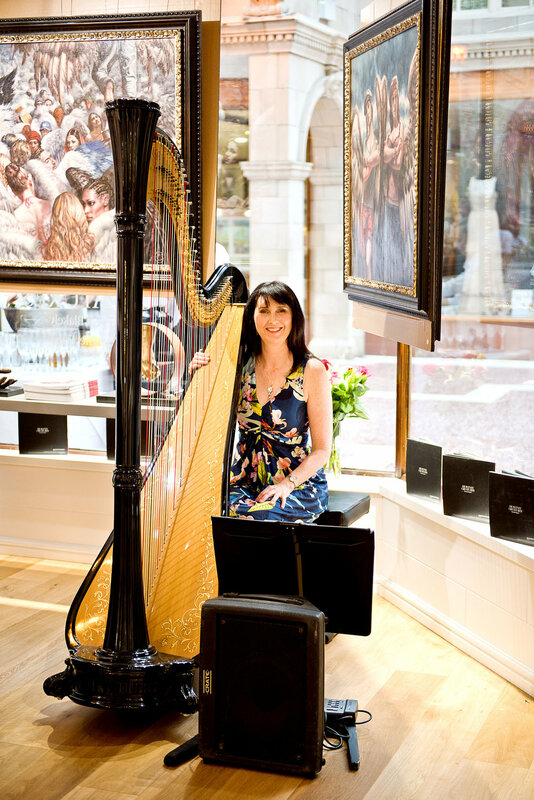 Oona gained a Bachelor of Music degree from Edinburgh University, and continued her studies on the harp with famous harpists Eira-Lynn Jones and Elinor Bennett. 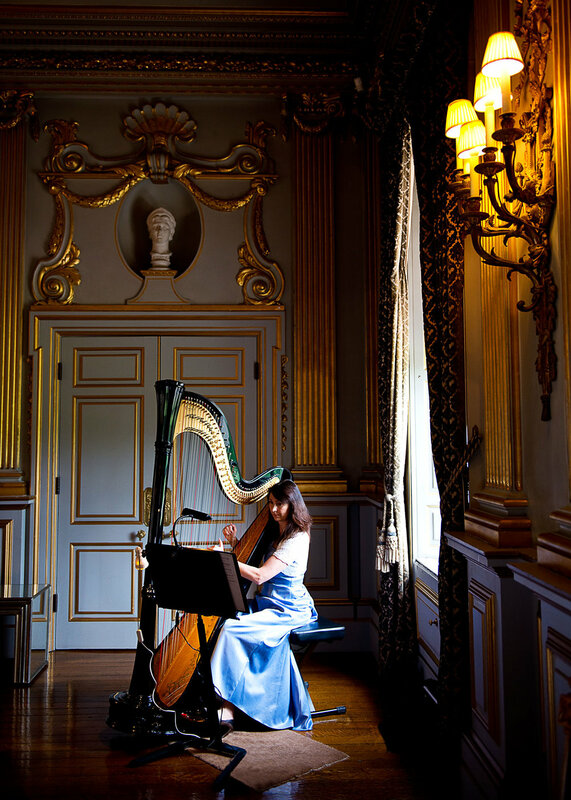 This led to Oona achieving a Performers' Diploma (DipABRSM), which was then followed by a Masters degree at the University of Wales focusing on playing and the study of the harp music of the Celtic countries, especially Ireland and Wales. Oona has now gone on to establish a busy and successful career as a freelance harpist, providing music for a great variety of engagements from a cocktail evening hosted by the Duke of Westminster to an innovative Valentines' 'Singles Evening' for Safeway Supermarket, and of course the numerous weddings and corporate events which she plays for. Oona has also made performing appearances in a number of TV dramas, including most recently Coronation Street, Peaky Blinders and Poliakoff's Close to the Enemy. Oona offers a very wide repertoire of music in many styles from modern to classical and Celtic as well as Bollywood, on both the larger concert harp and smaller Celtic harp. Oona is very happy to tailor her playlist for your particular special occasion and create the perfect ambience and atmosphere for your event whether it is a wedding, christening, other special occasion, corporate event, memorial service or funeral. Whatever your special occasion it is true to say that Oona's high level of musicianship and professionalism will be enjoyed and well-received. Please read the numerous testimonials that have been written by Oona's many delighted previous clients. Please visit Oona's website at www.oonalinnett.com and book us both to enjoy a sound and vision discount!